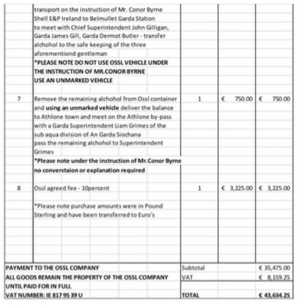 …The first whistleblower [Maurice McCabe] guard happened to be watching the TV that night said, that’s somebody who I think I could get on with, and he contacted me after that and arranged to come up to Dublin . . .
Clare Daly at Who Polices the Police? 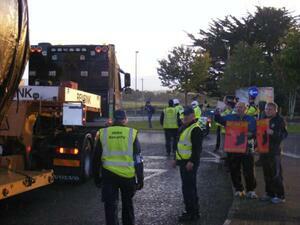 conference, Inver (near Rossport) in north Mayo on November 23, 2013. The women who came forward with the tape were accused by then Minister for Justice of exploiting the words said by the guards and tampering with the editing of the tape. Posted in Misc and tagged Corrib, Shell To Sea at 11:13 am on May 20, 2016 by Broadsheet. Justice Minister Alan Shatter in the Dáil yesterday. 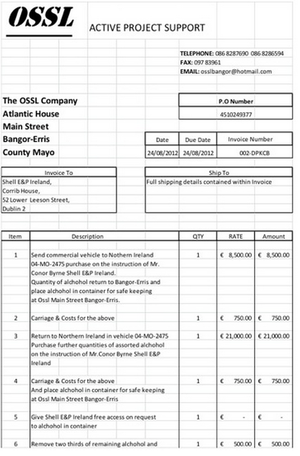 Posted in Misc and tagged Corrib, GSOC complaints, Shell To Sea at 10:56 am on May 1, 2014 by Broadsheet. 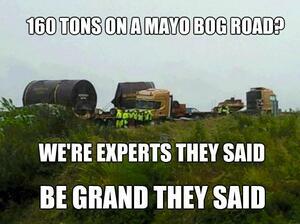 Posted in Misc and tagged Corrib, Shell To Sea at 5:00 pm on August 2, 2012 by Ewok. 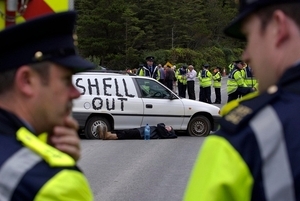 Posted in Misc and tagged Corrib, shell at 11:27 am on July 31, 2012 by Broadsheet. 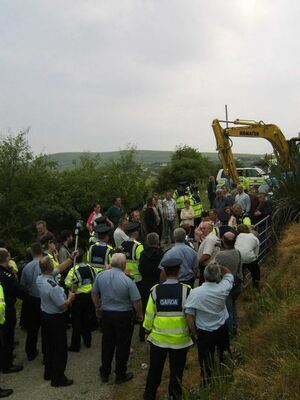 The Minister for Justice has said that a recording of gardaí making remarks of a sexually suggestive and disturbing nature at a Corrib protest in Mayo was tampered with. 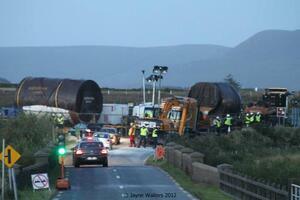 The recording was made following the arrest of two women at a protest against the Corrib pipeline in Co Mayo. It was revealed today that the five gardaí – who were disciplined and investigated following the release of the recording – will not face criminal charges. 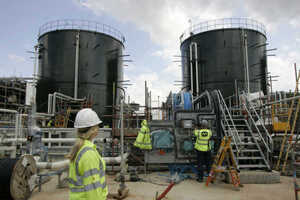 Shell to Sea says it does not accept the recording was tampered with. Spokesperson Caoimhe Kerins has said other academic files were removed from the disc before it was handed to the Garda Ombudsman, but the entire file for that day was made available. 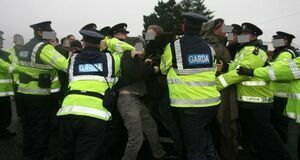 Posted in Misc and tagged Corrib, Garda at 5:07 pm on July 28, 2011 by Aaron McAllorum.